As technology advances, so do our methods of handling processes, one of which is event management. Many planners have turned to event management software solutions in handling their event analytics and other aspects of event management. That’s because these programs are designed to provide convenience and innovation, which are what RainFocus excels in. RainFocus is a management and marketing platform that aims to streamline event planning, including the handling of data and event analytics. Our software has scalable and dynamic technology that helps planners improve their event’s performance, create event analytics, and generate higher revenues. From preplanning activities to evaluation stages, we guarantee a seamless experience with our software. Turn to our innovative program, and handle your data and event analytics with the touch of a button. Event analytics is a management tool that allows you to view and analyze your event data. 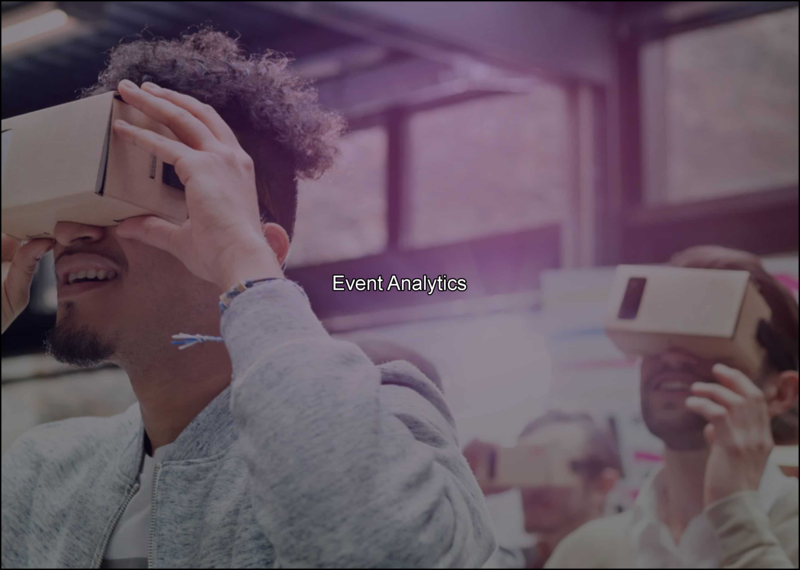 By providing insights into your event, event analytics helps you make informed decisions about how to increase your attendee engagement rates. Event analytics also helps you identify your event planning techniques that still need improvement. If exhibitors single-handedly take on much of event planning, they’d be dividing their attention. This can be a problem, especially multitasking, which can be quite a challenge for some people. To find one piece of information, planners might have to rummage through huge volumes of data. They may also have to utilize various apps to have access to event analytics and develop necessary action plans. Fortunately, they can use our event management platform to consolidate data and create event analytics. The RainFocus program lets exhibitors connect multiple management tools, including event analytics, into one seamless solution. We collect and interpret relevant data for your perusal, from registrations to event analytics. As actionable insights, event analytics that’s processed by our system can help you identify the weak points of your strategy and refine your techniques. In the event industry, time is your most precious resource. You may have to run against the clock to stay on top of event analytics and reports and constantly enhance your events. This can be hard when you have various spreadsheets at your disposal for event analytics and data monitoring. With the RainFocus platform, you can handle floor planning, ticketing, registrations, schedulers, surveys, and event analytics, all in one place. You no longer have to use multiple Word or Excel files when generating event analytics, driving deeper attendee engagement, and increasing returns on investment (ROI). You can also avoid duplicating reports to use event analytics and to gain actionable insights into your performance. Using our unified systems with an event analytics tool, you can have integrated management and marketing at your fingertips. Besides consolidating data and translating them into event analytics, our software lets you automate certain management operations. For instance, drive attendees down the right path and increase their engagement through our system’s automated intelligence. Because events have unique requirements, your management tools must be flexible. Our platform is built for this function, among event analytics and others. Apart from an event analytics tool, the RainFocus software has a user-friendly drag-and-drop workflow builder that allows planners to adjust the system to their events’ needs. You can simply drag elements, such as a page, onto the program’s canvas and connect it to the flow. Just like that, you have an additional page in your workflow! Looking for a management system with an advanced event analytics tool? Turn to the RainFocus solution, and remove the hassle from event planning! Our platform is designed to innovate and simplify traditional event management. Request a demo today. To learn more about our system’s event analytics tool, contact us or visit our website. Armed with this platform, we are here to revolutionize the way organizers view and handle event management. We are here to help planners get the most out of their events using valuable data. Reach out to us today!